We talk about Google’s reorganisation and rebrand to Alphabet, how you can legally fly your drone in an NZ park, Ubiquiti’s sad SU$70m scam story, Intel Skylake, Android happenings, JFK’s new passenger tracking, and a DNA test with Ancestry.com. 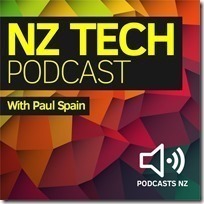 This NZ Tech Podcast hosted by Paul Spain (@paulspain) with guests Tim Batt, Rob O’Neill. Published by Podcasts NZ – home of NZ’s favourite podcasts.